Sean Vigue’s FREE “Yoga for Men” Series! Home \ Sean Vigue’s FREE “Yoga for Men” Series! Yoga: It’s not just for women anymore. Why do men NEED to do yoga? Simply put: yoga will give you more power, flexibility, endurance, control, balance and focus…and help keep you doing the things you love BETTER and LONGER…from the couch potato to the super athlete – yoga will give you exactly what you need. It requires zero equipment and you can practice anywhere and anytime. How’s that for super convenient? For my complete on the go yoga training manual order my new book, Power Yoga for Athletes, on sale today! 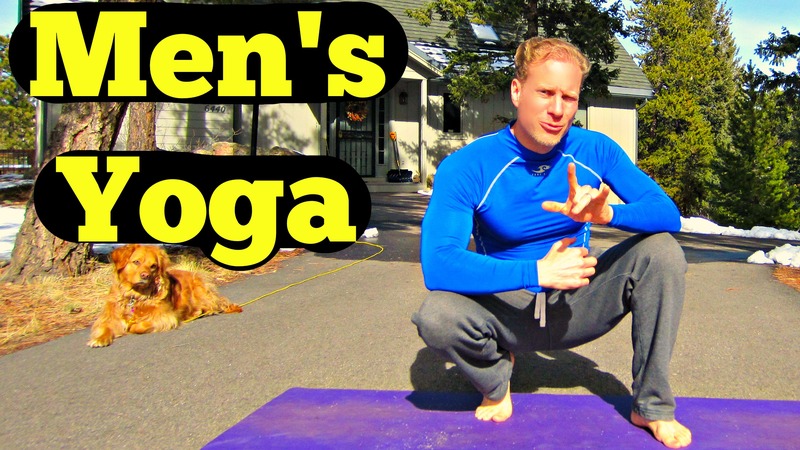 To get you started, I put together a free 3 part Yoga for Men series on my YouTube channel. Below you’ll find beginner, Intermediate and advanced routines that progress very naturally and will leave you feeling energized, focused and ready to attack your day! Download my full length Yoga for Men download on sale by using the code – yoga – to receive 50% off! Here they are! Please LIKE them on YouTube, leave a COMMENT letting me know how you did and SHARE with all your workout buddies. Thanks! Get on my exclusive online workout program and train with me EVERY DAMN DAY! !